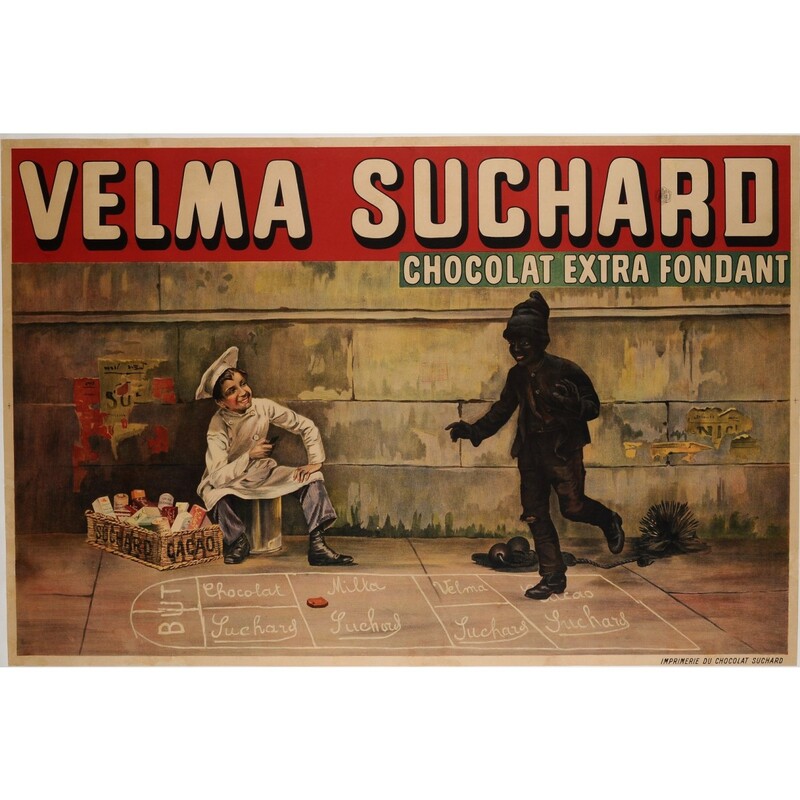 Chocolat Suchard began as a family-owned Swiss firm, founded in 1825 in Neuchâtel. A Huge order from the King of Prussia brought the company into the global market in 1842, winning manyf international prizes and ultimately making it the largest chocolate producer in the world by the turn of the century. 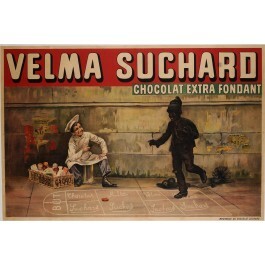 While best known today for the Milka bar, the Velma is also still available as the company’s most intense dark chocolate. Here, the fondant is apparently so thick it can coat an entire child.Today Chocolate Suchard is owned by Kraft Foods.Paul Charles Chocarne-Moreau who was born in Dijon in 1855 and died in Neuilly-sur-Seine in 1931 , was a naturalist and illustrator French painter. This poster is from the collection of Chocolate Posters book by Israel Perry and Alain Weill page 83.